What is Qtum (QTUM) ? Where to buy it ? Qtum is an open source Blockchain project that is developed by the Singapore-based Qtum Foundation. Qtum is a hybrid blockchain application platform. 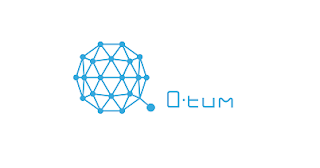 Qtum’s core technology combines a fork of bitcoin core, an Account Abstraction Layer allowing for multiple Virtual Machines including the Ethereum Virtual Machine (EVM) and Proof-of-Stake consensus aimed at tackling industry use cases. This will allow Smart Contracts and Decentralized Applications to run on a familiar foundation, while offering a robust environment for developers. The underlying technology uses an “Account Abstract Layer”, which acts as a bridge between the EVM and the Unspent Transaction Output model of Bitcoin Core. There will be Oracles and Datafeed functionality, allowing developers to create Smart Contracts built around trusted sources of information. Where to buy QTUM ? Here, you can deposit Bitcoin or any other currency on your account, and then trade it for QTUM. You can deposit Bitcoin or any other currency on your account, and then trade it for QTUM.